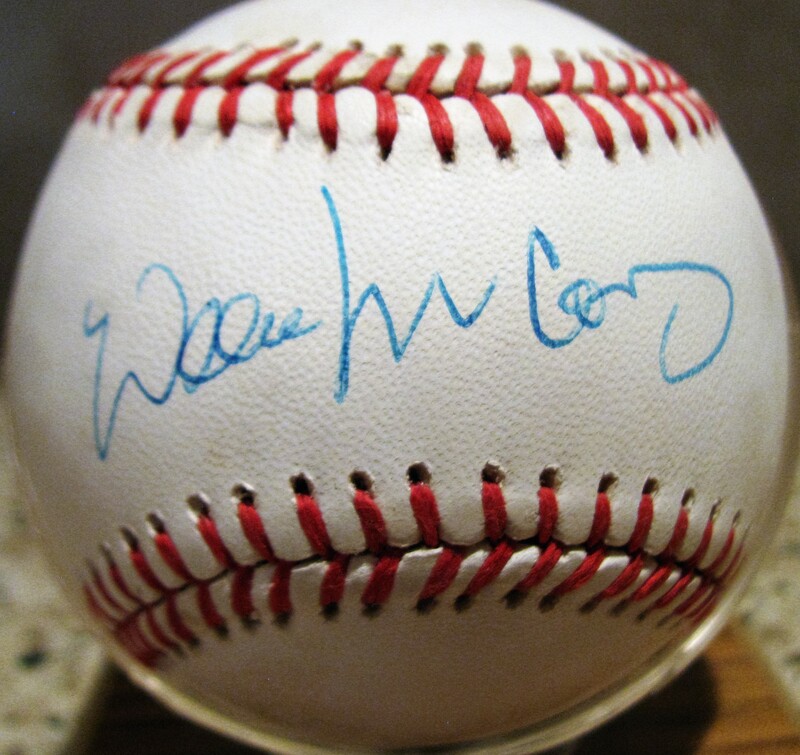 Willie McCovey Signed Baseball. 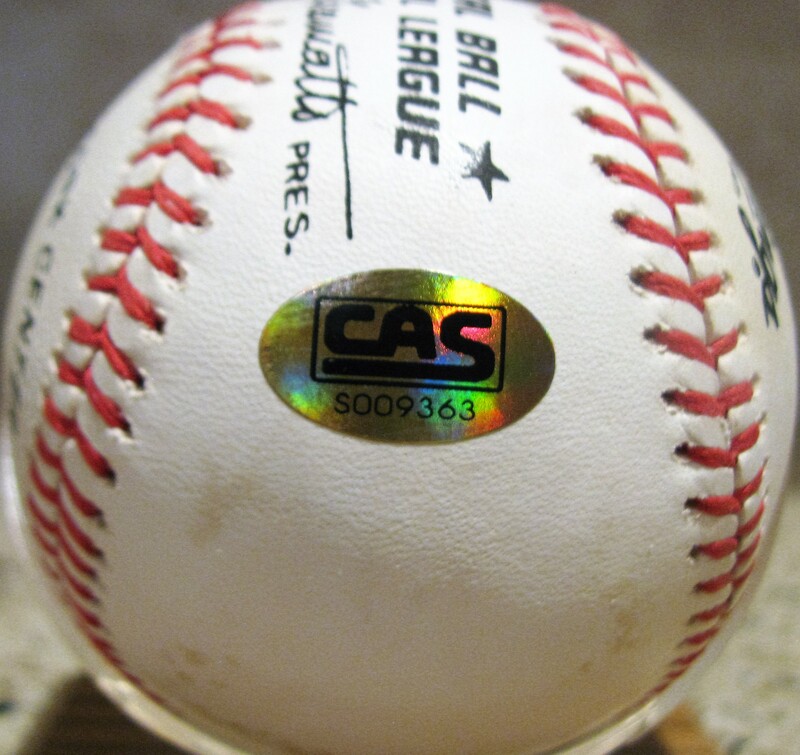 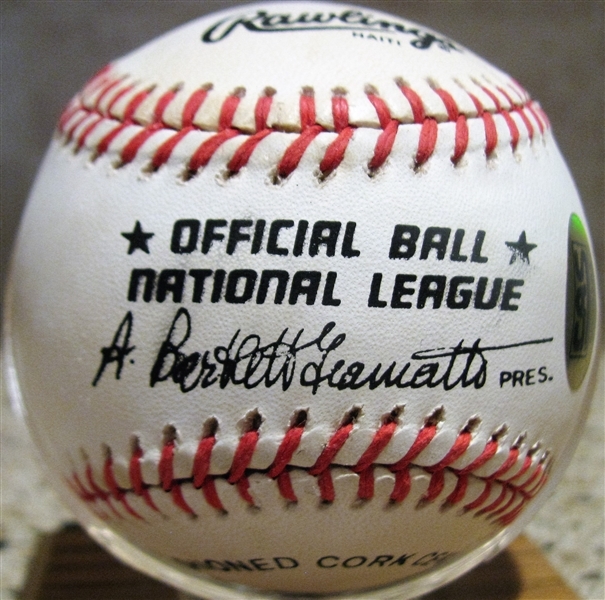 Willie signed in blue pen on this Official National League Baseball. The ball has a couple areas of soiling, but still displays nicely. 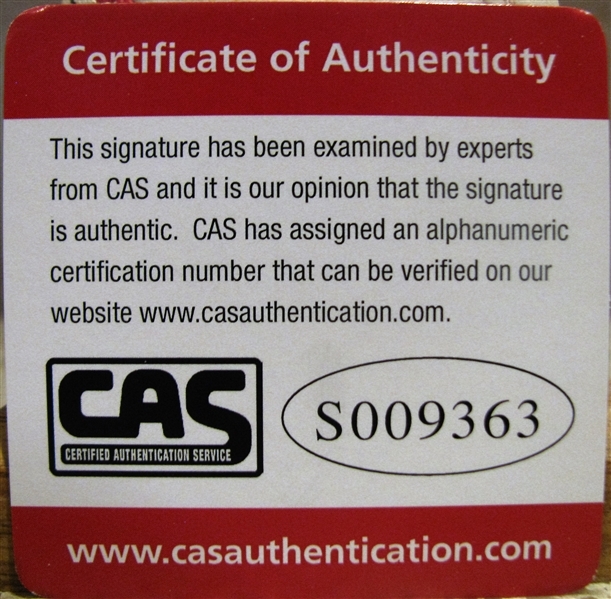 It comes with a COA from CAS Authentication.